Bicycle trips are one of the most unique adventures one can have. Many people love bicycling just because of that, many are addicted to the adventure that their bicycle can offer them. No other style of traveling can beat traveling on a bicycle. You just experience much more on a bicycle then with any other kind of transport. There are many different kinds of bicycle trips. Short weekends trip or month on month of cycling through a whole country. 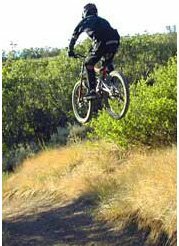 Challenging routes like mountain riding or more moderate cycling list cross-country riding. Bicycle-adventure is an excellent resource where you will find anything you wish for and more regarding bicycle trips adventures. 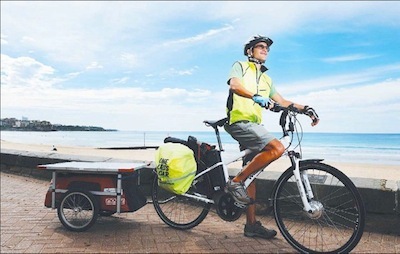 Electric bicycles can add a lot for this unique experience and you can read about why should you take an e-bike with you to your next trip at the following link:E-bikes travel tips. The aim of this page is to share different stories of different people and their electric bicycles. I hope you will find some great trip stories that will inspire you, educate your and enrich you. Moreover, how would you know if a specific e-bike is suitable for a specific kind of trip. The e-bike manufacture may say so but I don't think that many of them have put their e-bikes in use under such conditions. Which bicycle types and electric components are best suited for different kind of trips? How to charge the battery while on the go? How to take care of your electric components while on the go? Should you take your electric bike with you or rent one at your place of destination?